We are lucky enough to have a great area to compost here, but in the deep dark months of winter it can still be a challenge. Enter a Worm box. Tiny area, huge benefits. What is a worm box? Well it is exactly what you think it is: A box, made from really whatever you want, where you throw all your compost items and raise worms. Not Gross – Awesome. Worms munch away and through the fantastic evolutionary skill of digesting…make some of the best soil/fertilizer one could hope for. The benefits are huge and plentiful. Worm boxes are great for small spaces, little to no odor (unless something has gone wrong), a completely renewable source of gardening gold (worm tea) not to mention the production of big fat worms for fishing fun! So now that I’ve sold you on the idea (I hope! ), this is how we set ours up, and what we used! 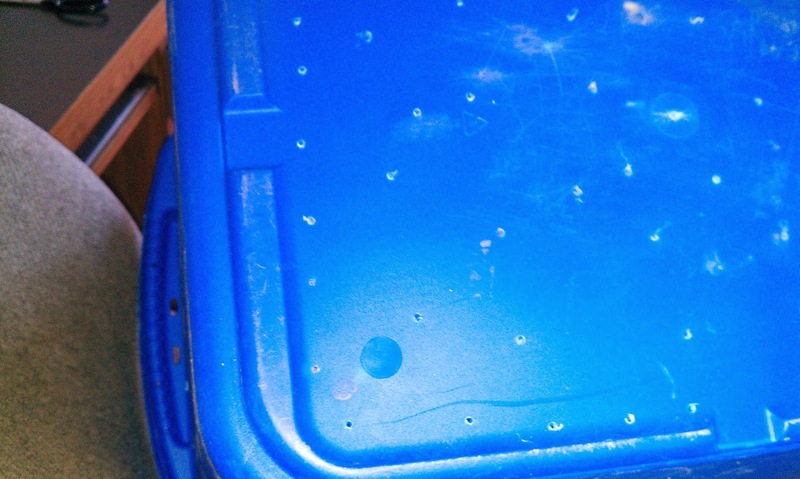 2 Rubbermaid Bins, one slightly smaller than the other. Drill, screw, hammer, nail, scissors, utility knife, toothpicks, and thin wire. Not all of these are essential, but I think we ended up with a mighty fine worm home! First we drilled about 35 little holes in the bottom of the larger bin, these will provide drainage for that wonderful worm tea, and make sure it doesn’t get to wet in the bin. In order to this, I just used a little drill and a screw. I’m not super comfortable using my hubby’s tools, no I try not too. You could however just a drill with a long drill bit or whatever. 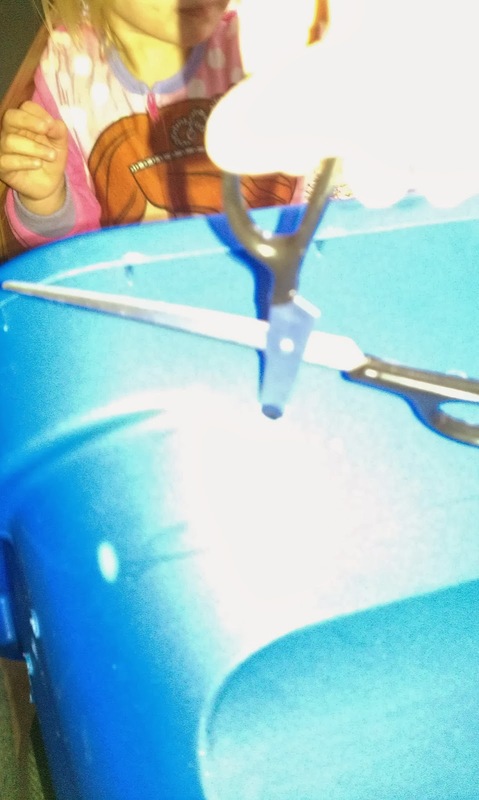 I had origonally planed on just kinda poking some holes in the bin, this proved harder than expected. Point being, you can improvise! Next we made some larger holes around the top of that larger bin, this will allow some ventilation in the bin. To do this I simply used the same drill and screw, then used scissors to make the holes as large as I wanted. Because I was using the Rubbermaid bins, instead of a more breathable medium, I felt the need to add more ventilation. 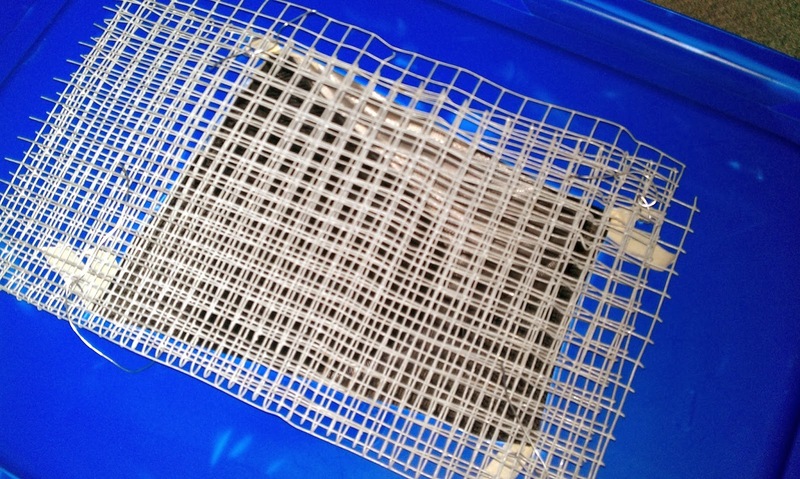 I did this by cutting a large hole in the lid of the larger bin and attaching some wire mesh. I just cut the square using a utility knife, then attached using a combination of wire, toothpicks and tape. Be creative here, you could use ribbon and make it really pretty, or just duct tape. 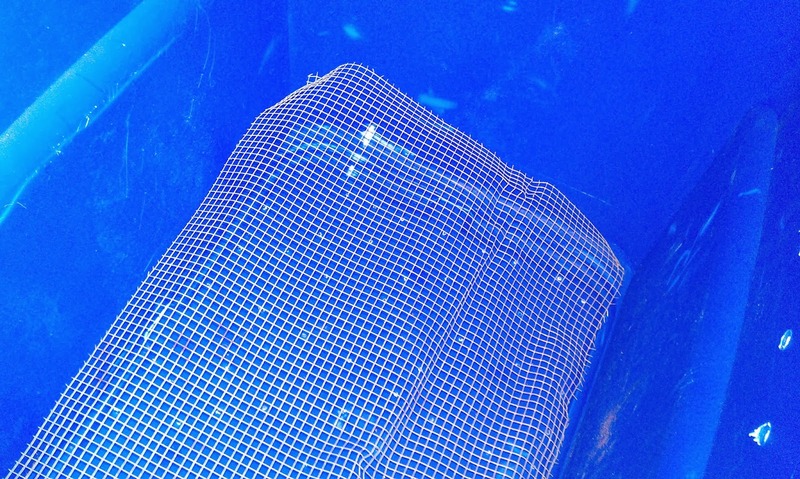 I also placed a piece of that mesh wire on the bottom of the large bin to make sure that the drainage holes do not become clogged. I don’t believe this is necessary, however I think it will help in the maintenance aspect. I then enlisted the help of the kids to tear up the paper bags into little pieces. We then mixed the paper with the peat moss and watered. 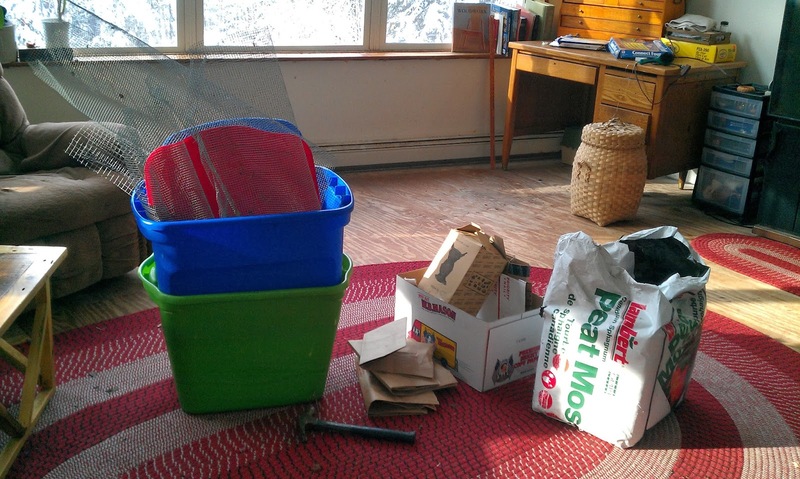 Once I had placed the larger bin into the smaller bin we placed the paper/peat moss mixture into the larger bin. 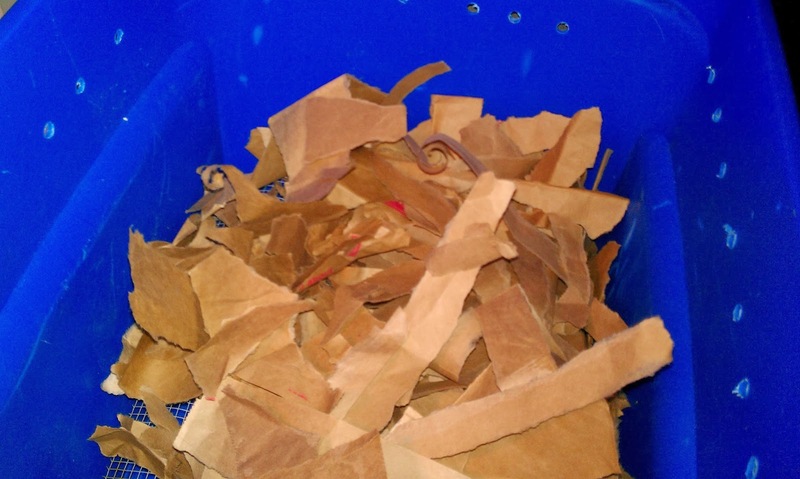 Placing a large piece of wet cardboard over the paper/peat moss mixture is helpful in a few ways, helps keep the mixture moist and cool, just the way your worms like it. It will also help to keep in the slightest of smells to avoid fruit flies. 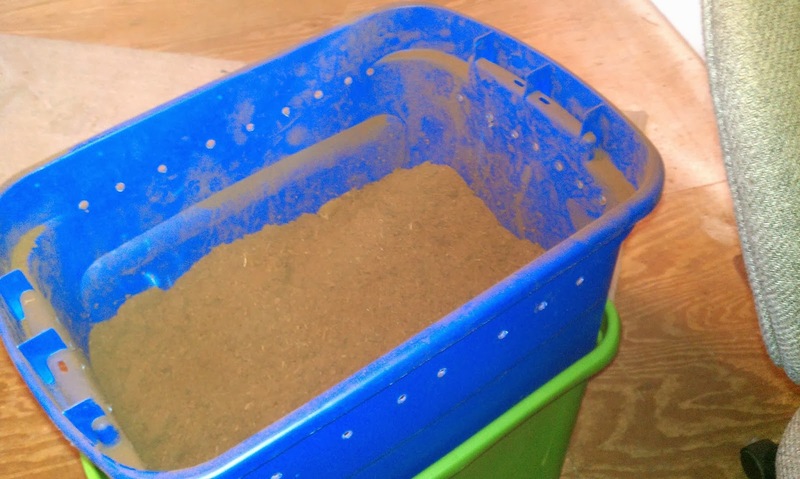 Just a side note, the mixture should not be any higher than 12″ I started with about 7″ of material to allow plenty of space to add our compost. 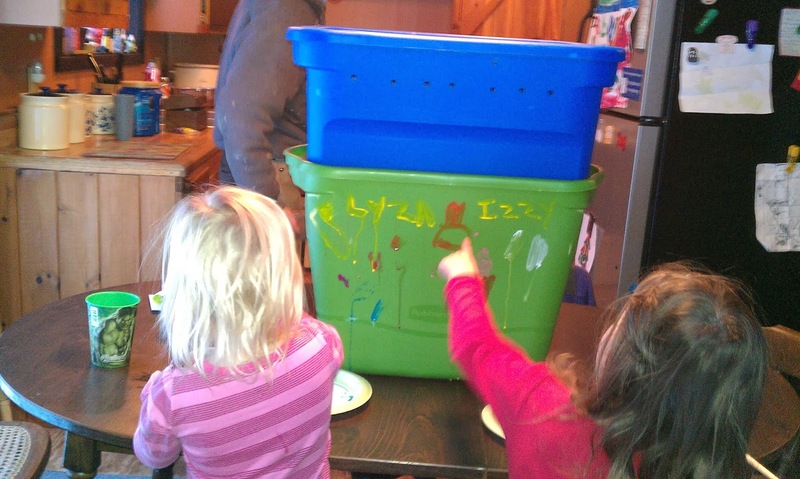 Now place the lid on the larger bin, and ta-da, worm bin! We went a step further and decorated the outside, again this is not necessary, but it certainly kept the kids busy while I cleaned up! 1. )If you are using two bins of the same size, it may be necessary to stack some rocks or wood blocks in the bottom of the bottom bin to keep the top bin elevated enough for drainage. 2.) 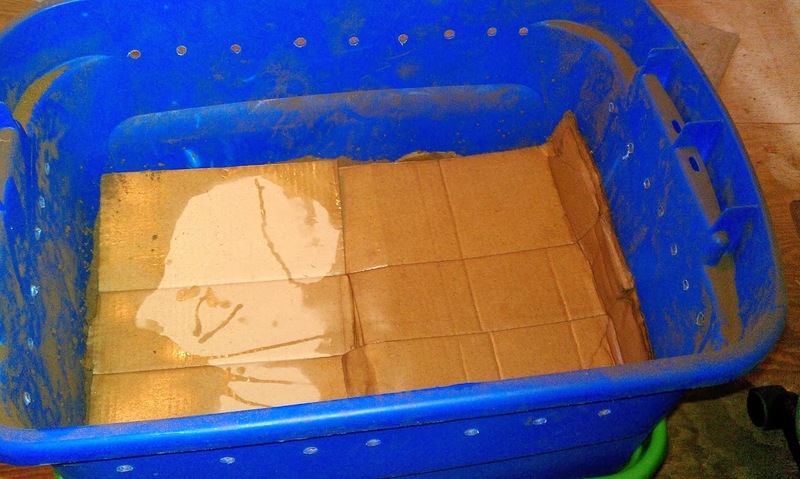 The peat moss/paper mixture should really be pretty damp, not dripping. 3.) 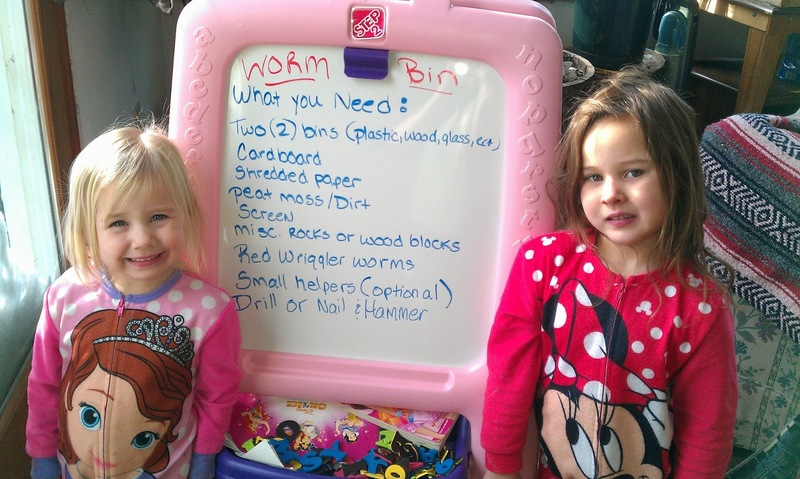 Red Wriggler worms are the best for indoor composting, for various scientific reasons. So now you have a worm bin, you are on your way to making the magic of compost. You can harvest the compost every 3-5 months. Do not put meat or dairy in this box, again there is science behind this, just don’t. Your worms are going to be happiest with veggie scraps, not to much citrus. The also like ground up egg shells, just run a rolling pin over them. Coffee grounds and tea bags are also great, just remember to remove the metal staple from the tea bag. Also breads and other grains will be gobbled right up. Make sure to water as needed, this will vary depending on lots of factors, temperature, humidity, ect, so the first couple weeks will require the most attention. Have fun and happy composting! Previous Previous post: Tipping, not cows.